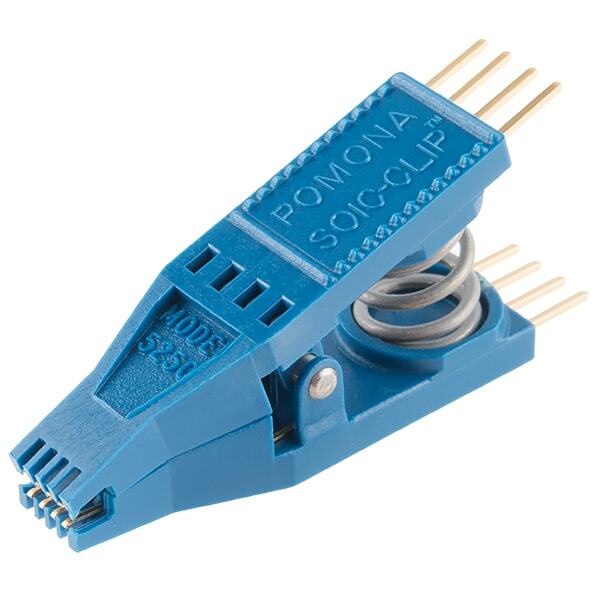 This is an IC Test Clip for 8-pin small outline integrated circuits (SOIC). This test clip assures a secure connection to all chip leads on an 8-pin SMD SOIC and provides hands-free testing. On this test clip you will find two sets of gold plated contacts, upper contacts to attach wiring and lower contacts for an 8-pin IC. Simply place your choice of IC in the lower contacts and attach female terminated jumper wires to the 0.1" spaced upper contacts and you are ready to start testing!